Climate change is one of the alarming situations the Earth is facing. The country has been experiencing various effects of climate change, such as floods, droughts, stronger typhoons, and rising of the sea level that directly affects the environment and the economy. Fortunately, several establishments and households are now embracing the sustainable lifestyle, especially through the use of solar energy since there are many reasonable prices of solar panels in the Philippines. Solar energy has been one of the most popular and fastest-growing sources of renewable energy not only in the country but in different parts of the world as well. Apart from the solar energy, there are other forms of renewable energy that can be used as an alternative source of electricity. 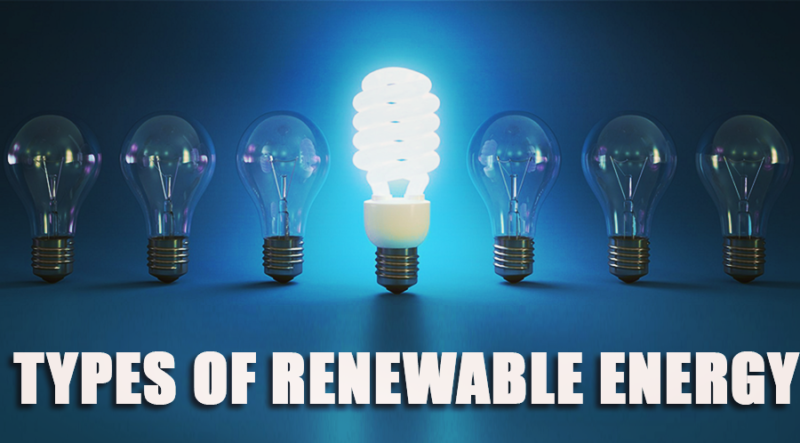 Read on and let’s take a look at the different types of renewable energy. Biomass energy is one of the most used renewable energies in the world. Biomass refers to the use of organic materials and converting them into their other forms that can be used as energy. One of the largest sources of biomass energy is wood and other forest residues, such as branches, dead trees, and tree stumps. The burning of woods has been the oldest form of biomass, however, there are newer methods that do not produce carbon dioxide. With this, utilizing biomass energy is definitely clean and reduces the carbon dioxide emission. Moreover, sustainably grown biomass can produce up to four times the global electricity needed by 2050. Geothermal energy is a thermal energy gathered from the heat found underneath the Earth’s surface, commonly from hot springs, magma conduits, and hydrothermal circulation. Geothermal hot water is often used to dry out fish and crops, heat buildings, and raise plants in greenhouses. In the Philippines, Leyte is one of the provinces that produced geothermal energy. There are also geothermal power plants in Luzon, Negros, and Mindanao. With this, geothermal energy provides the country with almost 27% of its total electricity production. Water is about 800 times heavier than the air, making it capable of producing considerable amounts of energy. There are many forms of water energy, such as hydroelectric power, small hydro systems, and run-of-the-river hydroelectricity. Did you know that wind technology can provide 9% of global electricity by 2030? Wind energy is a clean and non-polluting source of electricity. It uses a wind turbine, a device that can convert the wind’s kinetic energy into electrical power. Wind turbines rotate either by horizontally or vertically and typically place in areas with higher wind resources, such as offshore. Bangui Wind Farm and Burgos Wind Farm in Ilocos Norte are some of the big developments of wind energy in the Philippines. Over the years, people have relied almost entirely on coal and natural gases for energy. Today, there are many alternatives in which we can get electricity. In fact, our country has several possibilities of getting clean yet cheap energy. Good thing, various environmental organizations and even the government are utilizing such possibilities to finally switch to the sustainable lifestyle and make the world a better place to live in.